Alongside the brand new iPad Pro, the MacBook Air and Mac mini were unveiled to the world at Apple’s latest event. Here’s what you need to know about them. 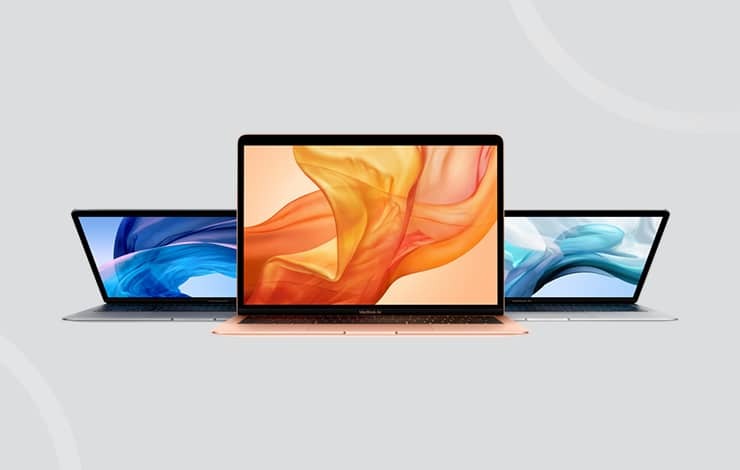 Lighter, faster and more secure, the MacBook Air has been subtly redesigned inside and out to make it better than ever before. Before you get into your device, you’ll experience the Apple T2 Security Chip, there to support the brand new Touch ID feature. From Apple Pay to authenticating a document, the chip is there to ensure that you’re working safely. The keyboard has also been entirely redesigned. With a butterfly mechanism, you’ll see more comfort and responsiveness as the keys are four times more stable than previous models. The keys are also backlit with individual LEDs with an ambient light sensor to help you type in low-light environments. The Trackpad is 20% larger than before to provide more room for Multi-Touch gestures like pinch and zoom. You’ll have precise control and an immediate response with the Force Touch Trackpad, which will react to subtle changes in pressure. The MacBook Air has up to 16GB storage and 1.5TB SSD memory, meaning that there’s plenty of space for programmes and documents. Finally, the MacBook Air is the greenest MacBook to date as it’s made from 100% recycled aluminium – so you can enjoy amazing technology and reduce your carbon footprint! Last but certainly not least, Apple also unveiled the Mac mini which brings nothing but power to the user. The biggest update to the Mac mini ever has seen an all-flash storage with up to 2TB SSD added to the machine. This will allow users to go beyond the desktop and use the ultimate engine to power industrial-grade tasks. With up to 5x faster performance than previous models and 4x faster read speed, it’s a must-have upgrade for Mac mini users. The MacBook Air and Mac mini are now available to pre-order at Sync. When you buy from Sync, you’ll benefit from Sync3, our free three-year product guarantee.